Our team of Specialists is constantly expanding to meet the needs of an increasing referral caseload and the latest recruit is Nigel Campbell who has joined our Anaesthesia and Analgesia Team. 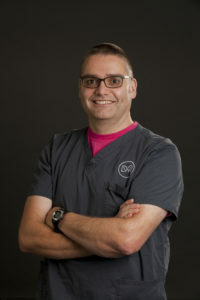 For the last 20 years Nigel has worked at North Carolina State University Vet School where he was a faculty member and he has a particular interest in total intravenous pain management. This service now comprises 5 Specialists, 2 Clinical Fellows, 3 Residents, 3 Interns and 3 Anaesthesia Technicians. As well as our own expanding caseload of around 4,500 surgical cases per year, the team also provides anaesthesia and analgesia for over 700 horses at the Newmarket Equine Hospital.